Samples are offered to present the quality, details, and design of our products to interested inquirers. Varieties of samples are provided to present a selection of choices and to facilitate final decision-making. Extra efforts are devoted to provide a wide range of samples at a nominal cost. 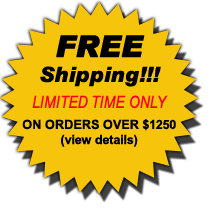 Samples ship FREE of charge to anywhere in the United States! 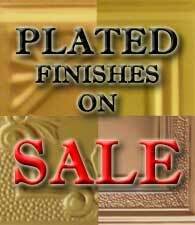 Tin finish ceiling samples are optimal for comparing our quality and embossing. 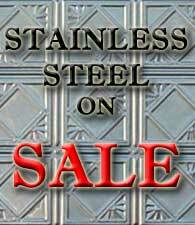 All tin ceiling designs, cornices, flat moldings and fillers are available for sample purchases. The samples below are unfinished steel (tin), for finished samples please use the tabs above. If design, in finish selected, is available in stock we will ship your selected design. 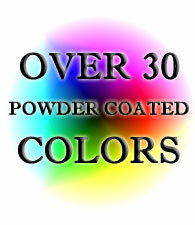 Otherwise, we will ship whichever design in selected finish(es) is available. We believe our authentic original embossing and high quality durable finishes are superior to the competition. To encourage you to compare and see the noticeable difference for yourself we are offering a special discount! 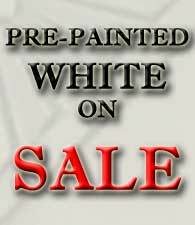 Purchase samples today and when you place your main order with us we will discount (refund) your sample purchase. 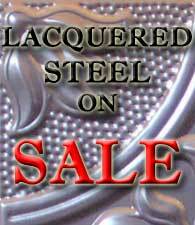 When you purchase more than $300 of tin ceiling products we will discount your order up to $25 of your sample purchases and up to $50 on purchases over $1000. To receive your discount code simply fill out our Give Me My Discount Code form.